Our offices are closing today for the Christmas Break! Please don’t worry if you have a course booked over the Christmas period, our hard working trainers are still on the road delivering the very best in tailored training courses to corporate Australia, contact details for your trainer have been supplied to the staff member who booked your course. We will be reopening on Monday January 9th 2012 at 9am and we will hit the ground running, all available dates for all course in all locations are just about fully booked, there are only a few dates left in January and February! Our Work Health Safety (WHS) blog has been a huge success, doubling the hits we receive each day, we will be turning the blog into a vlog (video blog) over summer so you will get to ‘meet’ us in person. There is always plenty going on at AFFA and we can’t wait to share it with you all via our blog and vlog. If you aren’t currently subscribed to the blog it’s easy to do, just click on the link in the sidebar at the right of this post to receive email notifucation everytime we post a new article. We hope you all have a very happy and of course safe Christmas and New Year, we look forward to working with you all again in the new year. 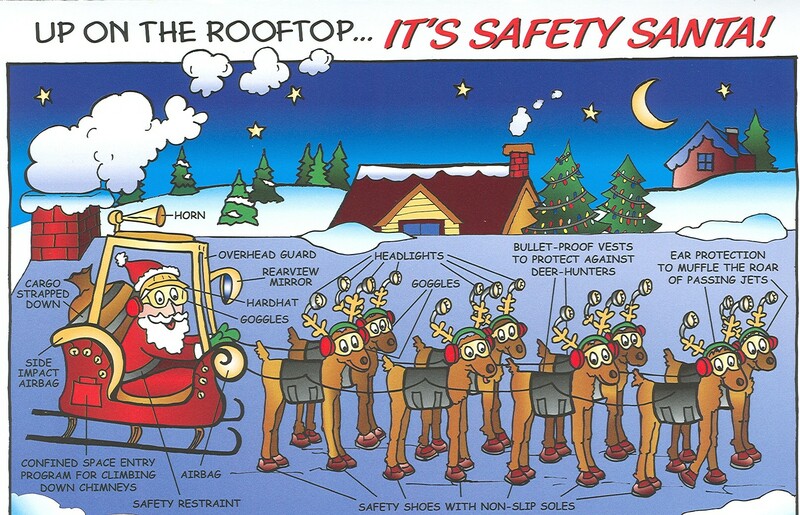 We’ll leave you with a little Christmas Safety Humour!